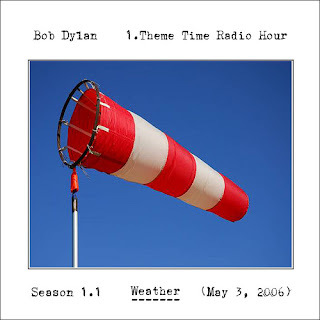 Although unrelated musically, no one can hear the title of the first song aired on Theme Time, Muddy Waters "Blow Wind Blow" without thinking of Dylan’s own "Blowin’ in the Wind." Before playing the song, Dylan makes a cryptic remark about Waters calling him, "one of the ancients by now, whom all moderns prize." I’ve had days while writing “Dreams, Schemes, and Themes” where I become convinced that Bob Dylan had nothing at all to do with Theme Time past lending his name to it, even to the point where I would get so bull-goose crazy that I would start wondering whether the TTRH team had hired an impressionist to mimic Dylan’s voice on the air, ala Rich Little doing Stacy Keach’s “Mike Hammer” voiceovers while the actor was in jail. Maybe that’s why Dylan’s peeps had been so damned adamant about not giving me any info or access to any of the TTRH crew. IT WAS ALL A HOAX! A SCANDLE! QUEL DOMMAGE! Yes! I would uncover the whole damn pitiful scheme and win a Pulitzer, or at least get into the Daily News. I’d find the voice impressionist, probably living in a flophouse on a Skid Row somewhere by now, money from Theme Time gone, hands trembling, in need of a quick fix, eager to tell me the true story for a couple of bucks. Then I’d come back to reality. Dylan's "one of the ancients" line is the first salvo fired in the great “did Bob Dylan contribute anything to TTRH?” debate, and a definite point for the “Yes” side. The line is a paraphrase taken from Alexander Pope’s 1711 poem, “An Essay on Criticism,” an unlikely reference for Theme Time producer/writer Eddie Gorodetsky to be making in relation to Muddy Waters, no matter how literate the ex-radio jock and comedy writer may be. On the other hand, if we had the opportunity to browse a certain deejay's bookshelf, I suspect we'd find "An Essay on Criticism" sharing space with Sax Rohmer's "The Hand of Fu-Manchu," and Joan Didion's "Slouching Towards Bethlehem." There’s much for Bob Dylan to like in “An Essay on Criticism,” including Pope’s argument that all good writing stems from “the imitation of the ancients,” and his contention that bad criticism is much more tiresome for the reader than bad writing. Dylan may have adapted the “one of the ancients…” line to acknowledge one of the primary tenets of his career: all artists owe a debt to their predecessors, a thread that would run through many of his Theme Time commentaries. Although little-remembered in these modern times, “An Essay on Criticism” has made several contributions to the popular lexicon including, “a little learning is a dangerous thing,” and “fools rush in where angels fear to tread” both dictums worth remembering as I continue on with my book. The Theme Time Radio Hour team seem to have a certain nostalgic fondness for "Blow Wind Blow," perhaps because it was the song that launched a 100 Theme Times. 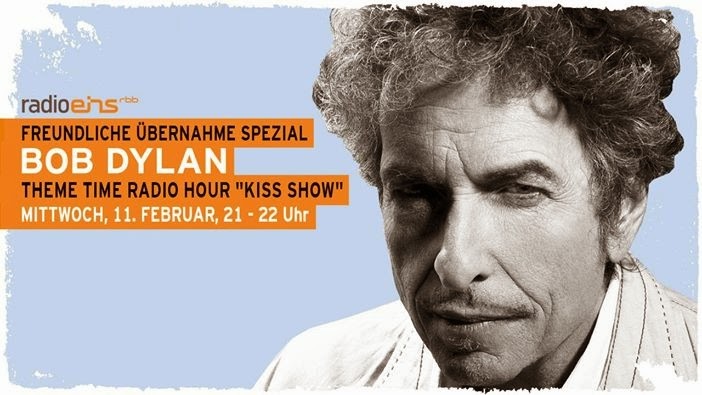 I received an email from one of the show's many associate producers after I posted a video of Waters performing the song, who thanked me but noted that the TTRH team favored another version; a November 28, 19 and 70 performance at/on The Beat-Club music show broadcast from Bremen, Germany. It's posted above. Enjoy one of the ancients, who all moderns prize.